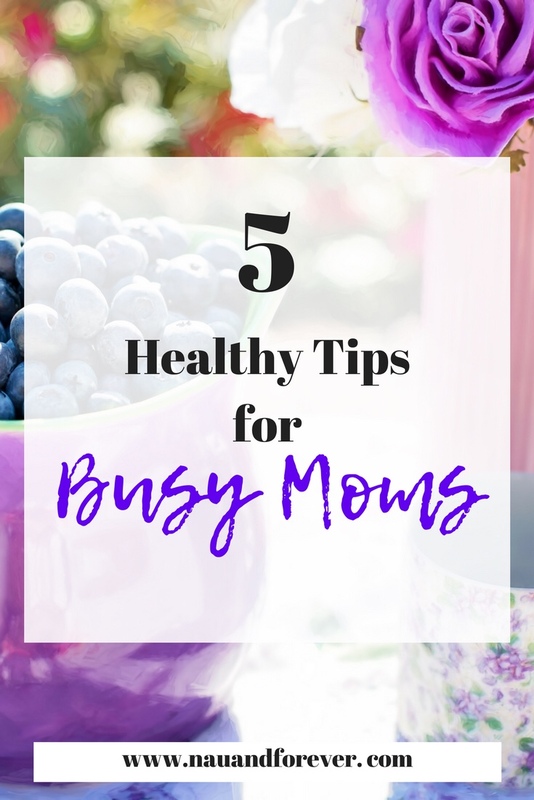 Looking for some healthy tips for busy moms? I get it. I totally get it. It’s easy to run through the drive thru. It’s easy to sit and eat chocolate covered almonds (my vice) and watch Netflix. It’s easy to eat your kids leftovers. It’s easy to stay in bed an extra 30 minutes than get up and work out. Whether you work in or out of the house, you are busy. The tough truth that I have had to face is that you make time for things you want to do. Whatever it is, you will make the time if it’s important to you. We all have the same 24 hours in a day. No one gets more. And it’s up to YOU how you spend those 24 hours. Now this post isn’t about time management. 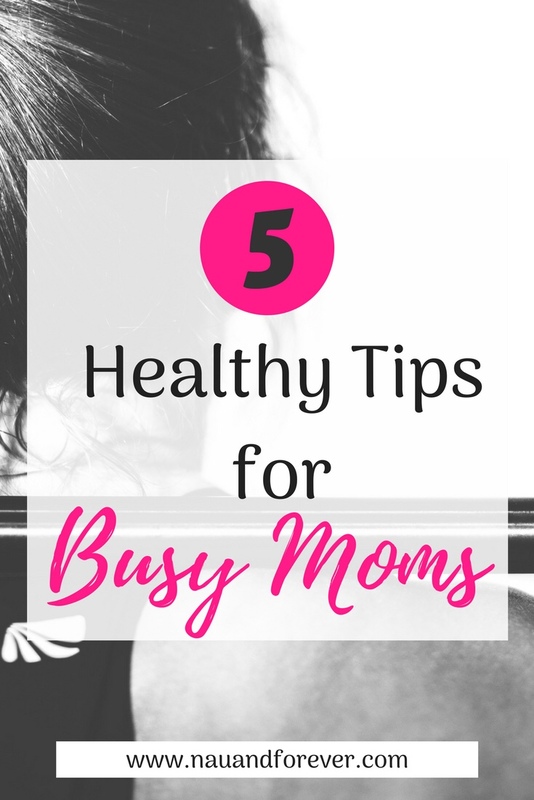 Instead I’m going to give you 5 healthy tips that I have learned while being a busy mom! Sign up for my newsletter and get a free $10 health & wellness gift card! This post contains affiliate links. I will receive a commission if you make a purchase at no extra cost to you. I only recommend products that I love and believe in. Get fruits and veggies. Hummus. Yogurt. Applesauce. Whatever healthy snacks that you like and have it readily available so you don’t always head for the back of chocolate chips. Tip: Do an inventory of your kitchen and pantry prior to making your grocery list, so you only get what you need! Not to be confused with meal planning. Meal prepping is actually prepping the foods. If you are new to meal prepping, start small. Don’t overwhelm yourself. This is meant to be helpful not stressful. Depending upon how much work you want to put into it, this could take a half hour or it could take a couple hours. You can clean and cut your fruits and veggies so they are ready to eat or cook. Make overnight oats for breakfasts, so all you have to do is grab and go. Make crockpot chicken for protein throughout the week. Mix up some salads. Your choice. Do as little or as much as you want. You already know they are bad and if you are wanting to make a quick healthy change, this is a great place to start. Instead, drink water. If you want to add taste, infuse with fruit and herbs. I don’t know about you, but I used to be one of those coffee drinkers that would drink a little coffee with my creamer. I would always get a caramel macchiato when I went to Starbucks. Now, I have traded my macchiato for black coffee with some stevia and almond milk. (It’s half the price too!) This does take some getting used to so play around with ingredients. You can get liquid Stevia like this and it’s great in coffee. You can add pure vanilla extract and unsweetened vanilla almond milk. Try some cinnamon or pumpkin pie spice for a Fall coffee. Adding coconut oil to your coffee and blending it is delicious and makes it super frothy! If you still want a creamer, just be sure to check the ingredient list and avoid a sugar overload and ingredients like corn syrup (which is sugar too) and all those crazy ingredients that you can’t pronounce. So Delicious makes a great coconut milk creamer. Thrive Market also has some great options like a French Vanilla Dairy Free option and for those who want to get the benefits of collagen with their morning coffee, you can add Collagen Peptides. Get moving! You don’t have to do an hour of Insanity everyday, but do something. Take a walk on your lunch break. Consider taking the stairs instead of the elevator. Get a fitness tracker and track your steps. Aim for 30 minutes of activity a day. Not only is it good for your body, but it’s good for your mind. Find an activity that you like and if you need to enlist a friend or join a group for accountability. That can be a game changer. Let me know if I can help you with accountability! I’d love to be your cheerleader! What are you favorite healthy tips for busy moms? Want some more healthy tips? Get that and access to my free printables library here. Stay tuned because I will be having more health and wellness topics coming your way! These are great. Mostly common sense but I often still find myself NOT doing them! Trying really hard to focus on having healthy foods in the house so we don’t run through the drive through. Exactly Bri! It’s crazy how we can find ourselves not doing the things we know we should be doing! These are some essential pointers, Laura! And I totally swear by them. I must say they make our life much simpler & less glum & frustrating. Yes Ashvini! It’s amazing how much better we feel when we take care of our bodies!